@umarekanto , well-done. And I personally have to apologize for heating up your topic. I hope to , at least, have added some useful info on kernels. And now I’m thoroughly confused… That article covers much of what we’re talking about here. I am confused too as to what in my posts spurred the idea that I was being rude or aggressive to anyone in a way that warrant the sudden attack on my persona. Honest, I keep reading them trying to understand what was it, but I just can’t find it. In answer to your question, that Wiki article makes no mention to the Linux release cycles as they are. I’m pretty sure @anarch wanted instead to mention this: https://www.kernel.org/category/releases.html which explains the linux kernel development model. 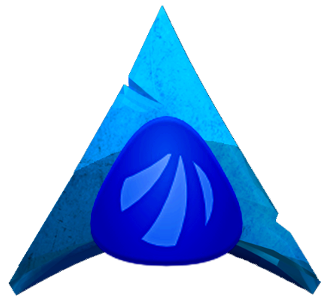 The Arch wiki page makes no such clarification and was useless for the debate of understand the various release types and their impact on system stability. As for the rest of this debate, since you seem to have decided I gave such a bad image, and you carry the moderator flag, I will refrain from replying to @anarch any further. And I’m out. @fernandomaroto said post to discuss philosophical matters regarding using different/multiples types of kernels. No philosophical matters were discussed. Everything were closely related to the OP subject. Kernels. Which one/s to choose and why. Differences.Should I get rid of this one and if yes/no, why so? @Krugar , please allow this brief clarification. Being a moderator makes me neither superior, nor inferior than you. There s nothing personal between us, after all. We re here because we like helping out each other. I m possitive that I didn t misguide, nor gave wrong info to the OP here and that s the target here. No hard feelings whatsoever and looking forward to seeing you round.